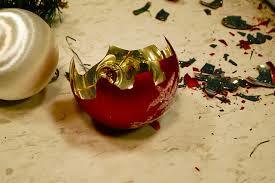 No ornaments were harmed in the writing of this post. Recently I took our Christmas tree out of storage, fought it to a draw as I went about the annual ordeal of trying to make all the lights work. That’s worthy of a post by itself, but I’m not here to talk about satanic instruments. No, I want to write about ornament hangars. A stray glass ball ornament, forgotten in the branches last January when the tree was stowed in the basement fell to the floor and shattered as I unfurled the branches to their extended positon, leaving lethal shards scattered about the floor, including one that has always seemed full of pathos to me: the neck of the globe with its thin metal ring and wire hanger. And it is of this hanger that I wish to speak. Economies of scale fascinate me, or what I would call the Costco Effect were I an economist. (I’m not. I only play one on TV.) We all know that buying in bulk is more economical. Our family story about economy of scale in fact involves Costco. When Alyssa was a freshman in high school, we took ourselves off to buy some 3″ x 5″ index cards for her. I forget how many came in the jumbo pack, but she was able to use them throughout high school, and I think I am still using some of them today. It’s one of many office supplies our household seems to spontaneously generate. We need never buy a pen again in our lifetimes: probably two thousand of them run in great migratory herds under our roof. Anyhow, as I was saying, I regarded the neck and hanger of the ornament with a mixture of terror and pity, and wondered how much manufacturers made on this simple but useful object. I put ornament hangers in a class with pencils: they’re simple and utilitarian, and fulfill a unique niche in the world of physical objects. Oh, sure, anyone can use a deformed paper clip in place of a wire hanger, but how outré is that? Some quick research revealed that, on the open market, the little hangers cost about two cents apiece. The material runs about one cent, so there’s 100% pure profit to be had on the little varmints. That’s in the neighborhood of the markup on jewelry. So, here’s my investment tip for the day: buy a lot of 20 gauge wire and make a killing. It sure beats savings account rates to pieces.